British tennis coach Judy Murray has suggested a rule change after a clip showing world number 28 Fernando Verdasco apparently shouting at a ball boy prompted widespread criticism. In the clip, Verdasco gesticulates angrily at the boy after a delay in receiving his towel between points. The practice of ball boys and girls providing a towel to players is commonplace but has its critics. “What about a rule that makes players get their own towels?” said Murray. 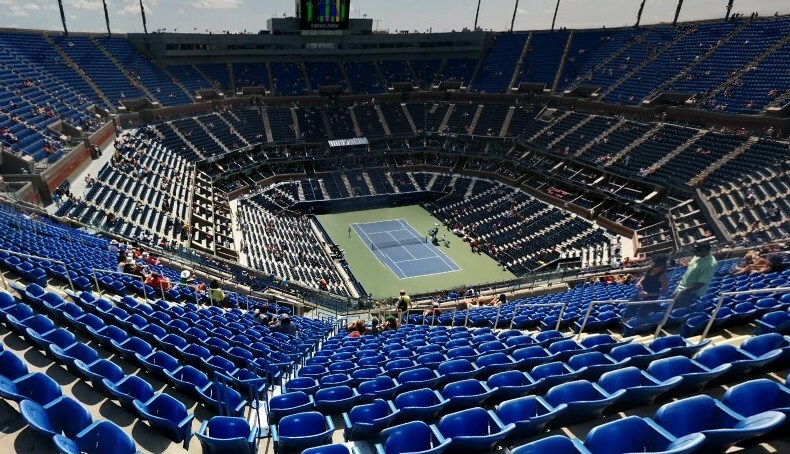 Players will have to use towel racks during this year’s edition of the Next Gen ATP Finals – the season-ending event for players under the age of 21. The rule states the towel racks will “remove the onus on ball kids to handle towels”. Del Potro: "It Could Be One Of My Best Seasons"
Juan Martin del Potro, who competes as the top seed at this week’s China Open in Beijing, has his sights set on finishing the year at his highest position in the ATP Rankings. “It could be one of my best seasons of my career,” said World No. 3 Del Potro on Sunday. “I won my first [ATP World Tour] Masters 1000 title in Indian Wells [the BNP Paribas Open], then I got my highest ranking ever this season. The Argentinean will be competing in both singles and doubles (w/Leonardo Mayer) during the ATP World Tour 500 tournament in Beijing, which marks his first event since reaching the US Open final (l. to Djokovic) on 9 September. Del Potro is currently in third position in the ATP Race To London and is next in line to qualify for the Nitto ATP Finals in November. 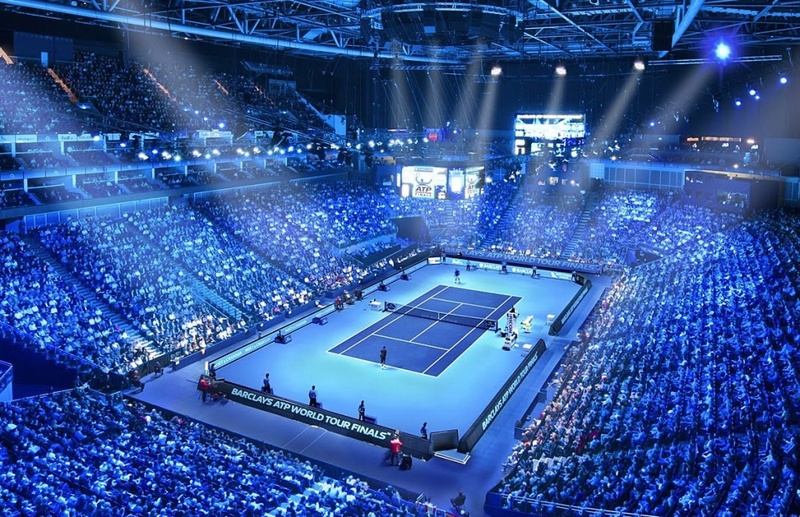 Del Potro has not competed at The O2, venue of the 11-18 November season finale, since 2013. 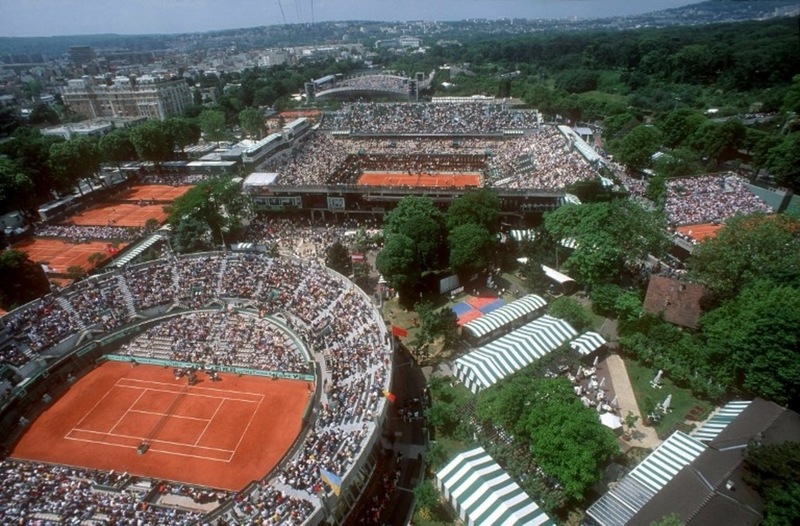 Rafael Nadal, Novak Djokovic and Roger Federer have already qualified. Del Potro will begin his Beijing campaign against Spaniard Albert Ramos-Vinolas, with a potential second-round clash against Karen Khachanov of Russia or American Sam Querrey. Nitto ATP Finals contenders Juan Martin del Potro, Alexander Zverev, Marin Cilic, Kevin Anderson and Kei Nishikori, who are all among the Top 10 in the ATP Race To London, feature at ATP World Tour 500 tournaments this week – the China Open in Beijing or the Rakuten Japan Open Tennis Championships 2018. Last year’s finalist Grigor Dimitrov and Chengdu Open runner-up Fabio Fognini will be among the contenders challenging Del Potro and Zverev for the Beijing crown. Diego Schwartzman, Stefanos Tsitsipas and three-time runner-up Milos Raonic compete at the Musashino Forest Sport Plaza, while the traditional venue, the Ariake Colosseum, is being renovated as part of the 2020 Tokyo Olympics. 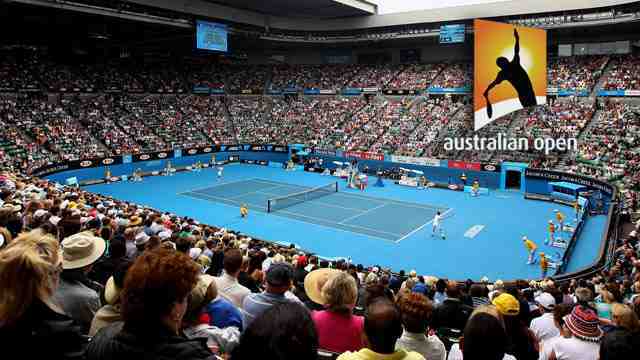 1)	500 Club: The capital cities of China and Japan are hosting ATP World Tour 500 events this week. At the China Open, Nitto ATP Finals contenders Juan Martin del Potro, Alexander Zverev and Fabio Fognini play for valuable points alongside Next Gen ATP Finals contender Andrey Rublev. 2)	Delpo Delivers: Del Potro is playing for the first time since his historic run to the US Open final. En route, the Argentine earned his 10th win over a World No. 1 — most among players never ranked No. 1 themselves. Del Potro also set a pair of all-time records by reaching his second major final 21 Grand Slam appearances and 35 Grand Slam tournaments after his first at the 2009 US Open. 3)	All Eyes on London: Del Potro is third and Zverev is fifth in the ATP Race to London, which means that both would qualify for the Nitto ATP Finals if the season ended today. Zverev is looking to lift the 10th title of his career. The German has until 20 April 2019 to join the likes of Rafael Nadal, Novak Djokovic and Andy Murray among the players to win 10 championships before turning 22. 4)	Danger Zone: Reigning Nitto ATP Finals champion and 2016 Beijing finalist Grigor Dimitrov is 17th in the ATP Race to London as of 24 September. With 3,250 points still on the line in 2018, Dimitrov needs a late-season surge to qualify and defend his title at the year-end championships. 5)	Career Year: Fognini returned to a career-high No. 13 in the ATP Rankings on 10 September. He is the third Italian on record to win three titles in a season and finished runner-up at Chengdu Open to Bernard Tomic on Sunday. The top Italian is the reigning Sao Paulo, Bastad and Los Cabos champion. 6)	On the Edge: Rublev was the top seed and runner-up at the inaugural Next Gen ATP Finals in 2017. At the moment, he is seventh in the ATP Race to Milan with a 54-point lead on Jaume Munar of Spain. Rublev has lost six straight matches since reaching the Washington semi-finals. 7)	Socks Don’t Match: Jack Sock is 6-16 with one quarter-final in singles and 32-10 with five titles in doubles this season. By year’s end, Sock will defend 1,545 of his 1,850 singles ranking points. As of 24 September, the American is 17th in the ATP Rankings and 160th in the ATP Race to London. 8)	One Year Later: Wu Yibing will make his China Open debut as a wild card this week after sweeping the US Open boys’ singles and doubles titles in 2017. Still only 18 years old, Wu broke into the Top 300 of the ATP Rankings on 10 September. He is 0-4 in ATP World Tour matches. 9)	The Champ is Here: Wild card Marcos Baghdatis is the only former champion in the China Open field. The Cypriot defeated Mario Ancic for the first of his four ATP World Tour championships at 2006 Beijing. Baghdatis has not played in Beijing or won a tour-level title since the 2010 season. 10)	Doubles Race: Six of the Top 14 teams in the ATP Doubles Race to London are on the advance entry list for Beijing, highlighted by the top-ranked tandem of Oliver Marach and Mate Pavic. The Austrian and Croat have qualified for the Nitto ATP Finals, but are just 1-5 in their last six matches. 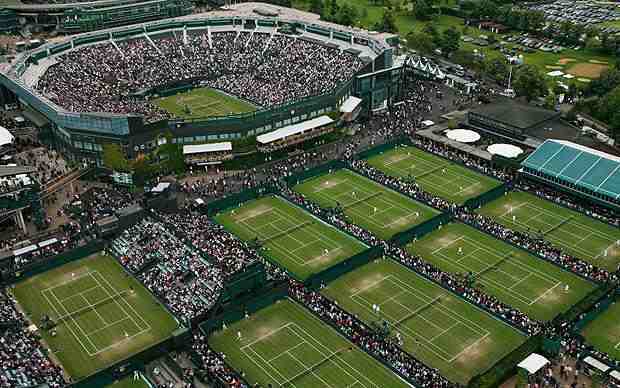 1)	500 Club: The capital cities of Tokyo and Beijing are hosting ATP World Tour 500 events this week. At the Rakuten Japan Open Tennis Championships 2018, two-time champion Kei Nishikori continues his push towards the Nitto ATP Finals alongside fellow ATP Race to London contenders Marin Cilic and Kevin Anderson. Four of the Top 5 #NextGenATP players in the ATP Race to Milan are also playing in Tokyo. 2)	Title Drought: Nishikori has won six of his 11 ATP World Tour titles at the 500-level, highlighted by Tokyo in 2012 and 2014. However, the highest-ranked Asian player in ATP history has played 46 tour-level events since his most recent title at 2016 Memphis. Nishikori, the former World No. 4, is 0-7 in his past seven finals, with losses at three ATP Masters 1000s and two ATP World Tour 500s. 3)	Belated Birthday: Cilic, a two-time Tokyo semi-finalist, turned 30 on 28 September. His birthday means that no Grand Slam men’s singles champions are currently under the age of 30. Nishikori, who lost to Cilic in the 2014 US Open final, is one of three twenty-something Grand Slam runners-up along with Milos Raonic (2016 Wimbledon) and Dominic Thiem (2018 Roland Garros). 4)	On the Edge: Anderson is eighth in the ATP Race to London and would occupy the last spot at the Nitto ATP Finals if the season ended today. The Wimbledon finalist leads No. 9 John Isner by 520 points and No. 10 Nishikori by 885 points with a maximum of 3,250 points still on the line in 2018. 5)	Tight Race: Fewer than 1,000 points separate Nos. 2-5 in the ATP Race to Milan. Tokyo players Stefanos Tsitsipas, Denis Shapovalov, Alex de Minaur and Frances Tiafoe are all on pace to qualify for the Next Gen ATP Finals. Of the four, only Shapovalov competed at the inaugural event. 6)	Greece Lightning: Tsitsipas broke into the Top 15 in August following a fourth-round run at Wimbledon and four Top 10 wins en route to the Rogers Cup final in Toronto. He is the first Greek to be ranked that high, reach the Round of 16 at a Grand Slam and play for an ATP Masters 1000 championship. 7)	Trailblazers: Shapovalov became the youngest semi-finalist in ATP Masters 1000 Madrid history, Tiafoe won the Delray Beach Open title to become the youngest American champion since 2002 and De Minaur achieved a new career-high ranking 16 times in eight months, rising from No. 208 to No. 38. 8)	Curious Kyrgios: Nick Kyrgios won the biggest of his four ATP World Tour titles at 2016 Tokyo. The Aussie opted to play Beijing instead in 2017, losing in the final to Rafael Nadal. Kyrgios returns to Tokyo as the 2016 champion. 9)	Wawrinka Rising: Like Kyrgios, Stan Wawrinka is back in Tokyo for the first time since winning the title. The 2015 champion withdrew in 2016 due to a back injury and did not play in 2017 after two left knee surgeries. Wawrinka has risen from No. 263 on 11 June to No. 75 on 24 September. 10)	Local Flavour: For the fifth straight year, all three Tokyo wild cards are Japanese. In 2018, they are Istanbul champion Taro Daniel, Shenzhen Open titlist Yoshihito Nishioka and Yuichi Sugita. Yoshihito Nishioka became the sixth qualifier to win a tour-level title this season at the Shenzhen Open, beating Pierre-Hugues Herbert 7-5, 2-6, 6-4 on Sunday. The 23-year-old, appearing in his first ATP World Tour final, won 61 per cent of second-serve return points and withstood 12 aces from Herbert to lift his first tour-level trophy after two hours and 20 minutes. Nishioka, who tore his left ACL just 18 months ago at the 2017 Miami Open presented by Itaú, dropped seven straight games after leading 7-5, 2-0, but recovered well to record the biggest win of his career. After Herbert’s strong fightback in the second set, both men were forced to work hard in their opening service games of the decider to remain level in the score. But Nishioka soon found a breakthrough in the fifth game. The qualifier opened up a 0/40 lead with strong play from the baseline, before earning the break with another aggressive backhand, forcing an error from Herbert at the net. Three championship-point opportunities passed Nishioka by on Herbert’s serve at 5-3, but the Japanese qualifier did not falter on his own serve. Nishioka fell to the ground, after converting his fifth championship point, following Herbert’s netted forehand return. Herbert was also bidding to lift his first tour-level singles title after a runner-up finish in his only previous championship match at the 2015 Winston-Salem Open. The 27-year-old has won 23 of 41 matches at tour-level this year. Nishioka receives 250 ATP Ranking points and collects $130,885 in prize money for lifting the trophy. Herbert earns 150 ATP Ranking points and $68,930. Qualifier Bernard Tomic saved four match points to capture his first ATP World Tour trophy in more than three years on Sunday at the Chengdu Open. The Australian, who played with great focus, also denied top seed Fabio Fognini a piece of Italian tennis history with a 6-1, 3-6, 7-6(7) victory over two hours and 15 minutes. The 25-year-old Tomic, who recovered from 3/6 and 6/7 in the deciding set tie-break, dropped to the ground in celebration upon securing his first crown since July 2015 in Bogota (d. Mannarino). Now with a 4-2 record in ATP World Tour finals, he earned $190,885 and 250 ATP Rankings points. Fognini had been attempting to become the first Italian man to win four titles in a season. World No. 123 Tomic had previously recovered from 0/3 in the deciding set tie-break against Egor Gerasimov in the qualifying round last weekend, 6-7(6), 1-3 in the first round against Bradley Klahn and he also saved one match point to beat Lloyd Harris in the second round on Wednesday. “I should have lost five times,” said Tomic. “In the second round in qualifying to Gerasimov, I was down 0/40 at 4-4 in the third set and I somehow got through that match; against Klahn in the first round I was down 7-6, 3-1 and in the second round I was down a match point as well against Harris. It’s been a rollercoaster, but I played more aggressive in the quarter-finals and semi-finals. I don’t know how many match points I saved today. “I haven’t won a title since Bogota in 2015. At 6/3 [in the tie-break] he struck a double fault, then the court began to get slippery. We both agreed to keep playing, but during my matches in qualifying and the first round it was slippery, so I began to stand ready for the return differently. It enabled me to return on the 6/4 point, then I got a lucky net cord winner on the next point. In a competitive start, Tomic, who was competing in his first final since February 2016 (Acapulco), recovered from 15/40 in his first service game. Fognini then let slip a 30/0 lead in his first service game, which ended with a double fault and soon failed to convert four break point chances in Tomic’s next service game. Three consecutive errors from Fognini handed Tomic a 5-1 advantage, prior to Tomic completing the 29-minute opener with his fifth ace of the match. Tomic continued to dictate early in the second set, playing at his own pace, but persistence paid off for Fognini, who took a 3-1 lead when his opponent struck a sliced backhand wide down the line. While Fognini’s advantage was short lived, much to the Italian’s frustration, he did capitalise on a backhand error from Tomic to break for 5-3 and later saved two break points when serving for the set. A loose game from Tomic handed Fognini the first game of the decider, but the Australian bounced back and took a 3-1 lead. Fognini recovered to 3-3, with four breaks of serve in the first five games, and later showcased tremendous feel to take control of the tie-break by opening up a 5/2 lead. Fognini saw four match points go begging at 6/3 and 7/6, before Tomic capitalised on a forehand error from Fognini for his first match point at 8/7. Tomic finished the match with a forehand winner. With a 40-19 record in 2018, 31-year-old Fognini has won trophies at the Brasil Open in Sao Paulo (d. Jarry), the SkiStar Swedish Open in Bastad (d. Gasquet) and a first on hard courts at the Abierto de Tenis Mifel presentado por Cinemex in Los Cabos (d. Del Potro). He leaves the city of Chengdu with $100,535 and 150 points. The Italian is currently in 11th position in the ATP Race To London – but is 1,405 points behind eighth-placed Kevin Anderson – for one of eight spots at the Nitto ATP Finals, to be held at The O2 in London from 11-18 November. Halep, 27, suffered the injury a week ago in Wuhan. Defending champion Caroline Garcia from France beat China’s Wang Yafan 7-6 (12-10) 6-7 (4-7) 6-3 to reach the second round. British number one Johanna Konta suffered a first-round defeat by German 10th seed Julia Gorges on Saturday. In the men’s event, British number two Cameron Norrie failed to qualify for the main draw after losing 6-4 6-4 to Serbia’s Dusan Lajovic. Nishikori: "I Think I'm Right There"
Back at No. 12 in the ATP Rankings, it’s easy to forget that Kei Nishikori began his season on the comeback trail. The Japanese star’s 2017 campaign came to an end in August, after losing in his first match at Montreal due to a wrist injury. But Nishikori has found his form again, advancing to the final on Monte-Carlo’s clay before reaching his first Wimbledon quarter-final and battling to the semi-finals of the US Open. The 28-year-old believes that his level is not far off from the tennis that carried him to a career-best World No. 4 in 2015. Nishikori had almost no confidence at all. He began his season playing two ATP Challenger Tour events to get matches in, and fell as low as World No. 39, his lowest placement in the ATP Rankings since October 2011. The No. 3 seed is well-positioned to continue on his positive trajectory this week at the Rakuten Japan Open Tennis Championships 2018. Nishikori has captured the title in Tokyo twice, and will certainly have the full support of the fans in Japan who will flock to the Musashino Forest Sport Plaza in droves to catch a glimpse of their top-ranked player. And by enjoying it and continuing to gain more confidence, Nishikori will be one of the favourites to triumph here, as he pursues his first tour-level title since Memphis in 2016.